The Wellington Fault is widely considered to be one of New Zealand’s most alarming natural hazards. Running directly beneath the country’s capital city, scientists predict there’s about a 10% chance it will rupture within the next 100 years. That’s why Wellington Water is acting now to build resilience into its operations and the local community. If a 7.5 magnitude earthquake were to hit New Zealand’s capital today, parts of the city and surrounds would likely be without drinking water for 100 days or more. Wellington’s water supply network is fragile. If a 7.5 magnitude earthquake were to hit New Zealand’s capital today, parts of the city and surrounds would likely be without drinking water for 100 days or more. It is a precarious scenario Laurence Edwards, Chief Advisor Potable Water at Wellington Water, is acutely aware of. He explains there are a few factors that make the situation more challenging. 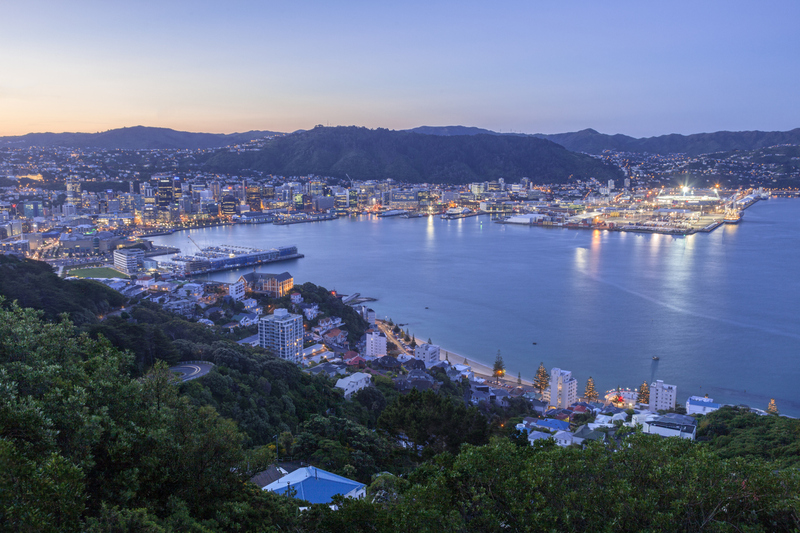 “Our sources are generally quite far away from the city and the bulk mains from each of those sources cross fault lines in multiple locations, and in particular the Wellington fault,” Edwards tells inspire. The network’s configuration is also a major concern. Despite the extensive damage done to both vertical and horizontal infrastructure during the devastating Christchurch earthquakes in 2010 and 2011, the water supply network was still largely able to service the city. That’s because Christchurch’s network is fed by bores distributed throughout the city; in effect, it’s a spider web-like system that is adaptable to faults. Wellington’s system, on the other hand, depends on just a few long strands. For these reasons, Edwards says resilience is a “major focus for the Wellington region”. Edwards says there are three key components to the planned resilience response: household resilience, community infrastructure resilience and a long-term program of regional projects. The latter include the Cross-Harbour Pipeline project currently under investigation, which would see a pipeline built to provide critical bulk water supply resilience should the existing bulk supply pipes – which cross known earthquake fault lines multiple times – be damaged. It’s all part of the Towards 80-30-80 strategy; the long-term goal is to provide 80% of customers, within 30 days of a significant earthquake, with at least 80% of their water needs. Right now, however, the focus is on making sure that if an earthquake were to happen today, the community would have enough water for up to 30 days. In the event of a large earthquake, it’s expected the reservoir outlets’ automatic shutoff valves would close – limiting the amount of water lost from the damaged distribution network, but also cutting off supply to customers. Edwards says people and businesses are being educated about the need to store enough water to be self-sufficient between days zero and seven of a major earthquake. “They need to have enough water stored at home, within the businesses or within the community to get through those first seven days, which will allow time for mobilisation of other work,” he says. After that, it’s up to Wellington Water to make sure the community have safe access to water. The question is, how? Edwards says the goal is to provide up to 20 litres per person, per day from distribution points that customers can walk to. “The target there is that the distribution points will be within about 500m up a hill or within a kilometre in relatively flat areas for most of the population,” he explains. Wellington Water engaged consultants Stantec in 2016 to pinpoint the most suitable distribution points. Cedric Papion, Stantec Senior Water Network Engineer, was initially stumped by the volume of data that needed to be crunched. “Where should the distribution points be? How many would we need? How long would people queue for? I don’t think that topic had been previously studied in New Zealand,” Papion says. “We had to figure out distances following the road between hundreds of points, move the points and do it again. At the time, that was beyond what we could do in our water team. Papion says that – in almost a first for the water team – they engaged the company’s data science team to find a solution, learning programming languages along the way. “The way we approached it – using routing algorithms and Python programming coupled with GIS – was also innovative for us at the time,” he says. The study comprised three main parts: a stock-take of the network’s vulnerabilities, locating potential sites for public distribution points and the testing of a possible way to supply the distribution points, which was ruled out as too expensive as a short-term solution. A total of 383 distribution points were identified. Papion explains that it was important to limit the number of distribution points, which add to the task’s complexity. “Each distribution point requires equipment and staff to set up and maintain. It was therefore important to minimise the number of distribution points while meeting the distance criteria,” he says. Other locations would ideally have an area where the public can queue safely away from traffic and possible slope failures. The program analysed the road network and found the ‘best’ route between each property and all distribution points. Of course, the ‘best’ route may be the shortest, or the one including the least steep segments, or somewhere in-between. The team also identified a network of critical pipes, where Wellington Water should focus future upgrades. They are the parts of the existing network that connect reservoirs to distribution points and to some 483 critical users, which included elderly care facilities, civil defense centres, schools, lifeline and emergencies organisations, as well as medical facilities. These pipes were identified using similar algorithms and tools as the distribution point locations. These users will rely on provision of emergency supply through above ground distribution points, followed by restoration of a critical network linking them to reservoirs and trunk mains – therefore providing a basis for prioritisation of renewals and upgrades to that critical network. Papion says the distribution site locations have been retained as part of the response plan, and some of them are already in place. “Speaking for myself, I came in to the project with preconceptions about what can and can’t be done, what is too big, too expensive, too difficult,” he says. For Papion, no discussion about resilience is complete without taking a holistic view, and bringing organisational, community and individual resilience into the mix. “In an emergency, the asset is bound to not do what you expect and it is down to the organisation to be ready and respond,” he says. Edwards says Wellington Water is working with organisations like the Wellington Region Emergency Management Office to educate the community about individual resilience – but it’s not easy. 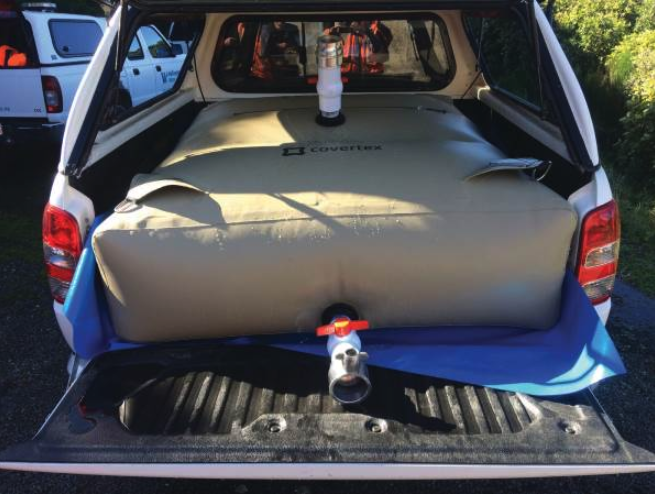 “We are trying to get communications out there in a structured way to encourage people to go out and purchase storage tanks. But it is very much a challenge and there’s been relatively slow uptake on the purchase of tanks for people’s homes.